After turning the last page of Pharaoh I found myself grasping for the best adjective to describe what I had just read. Mesmerizing? 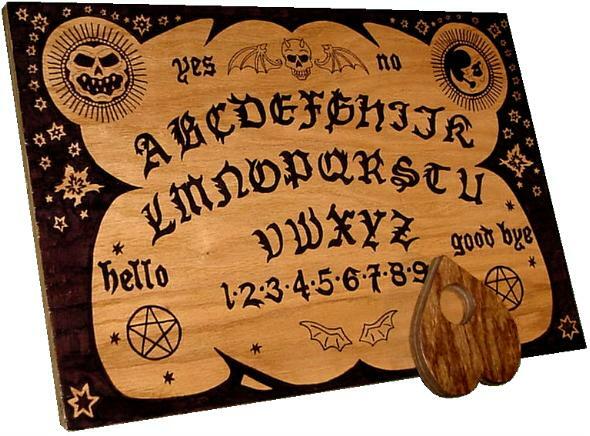 Spellbinding? Enthralling? The word I settled upon was: Intoxicating. This is a historical novel that imparts the feeling of being genuinely transported to that period of ancient history represented in the narrative. That’s no small feat since the setting is the last days of ancient Pharaonic 20th Dynasty which ended circa 1077 B.C. It was a real world, true, but ancient Egyptian culture was so exotic and infused with the presence of their deities, sorcery and esoteric paradigm it might as well has been an alien planet or some weirdly realized alternate dimension vis-à-vis our modern world. What I found stunning about Pharaoh is that author didn’t merely capture and recreate it for readers — it’s almost as if he channeled an actual experience and then somehow transferred it to us through this brilliantly rendered narrative. It draws us into another world in a visceral, psychological and perhaps even magical way. 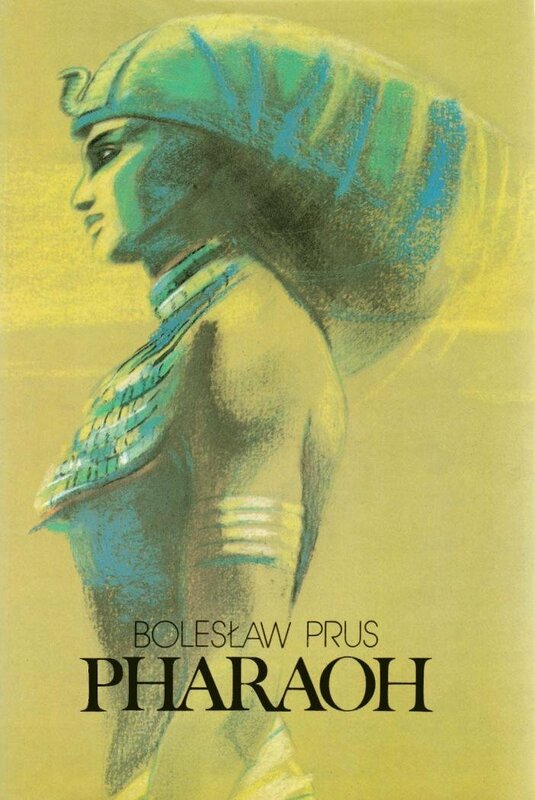 Thus, Pharaoh is a remarkable achievement in literature by the Polish intellectual, journalist and writer Bolesław Prus, pen name of Aleksander Glowacki, born in Hrubieszów in 1847. 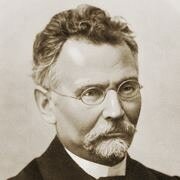 The book was written from 1895 through 1896 and appeared as serialized installments in the Warsaw publication Tygodnik Ilustrowany (Illustrated Weekly). Despite being serialized, Prus completed this work in toto before it was rolled out in Tygodnik Ilustrowany. 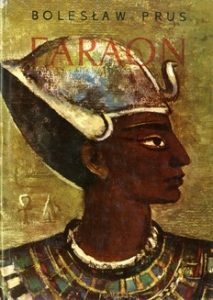 Critics say this is what made Pharaoh his best novel because his three other works of fiction were written week to week as they were serialized. The book describes a two-year period in which the last Pharaoh, Ramses XIII, of the Twentieth Dynasty comes to power upon the death of his father, Ramses XII. That’s interesting because, historically speaking, there was no Ramses XII or XIII. The last Pharaoh of the Twentieth Dynasty was Ramses XI. Prus was well aware of that but, for reasons of his own, he opted to invent two new pharaohs for his story. 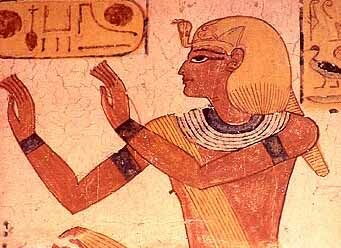 In fact, before writing Pharaoh Prus had long maintained that he would never write a novel of historical fiction. It was his belief that such works necessarily must take liberties with the actual facts of history, and thus might promulgate views that are ultimately misleading. He obviously changed his mind. This may have played into his decision to take liberties with the names of characters — perhaps to emphasize to his readers that they should not forget they are reading fiction. That’s good because this novel is a work of uncanny power that might make you forget it’s a yarn. I found myself absorbed into what seemed a real, though alien world. It communicated to me a psychological feeling of what life must have been like in 1077 B.C. Egypt, whether it be the lowest peasant or slave, or one of the powerful wealthy elite. Speaking of the elites, they can be divided into three distinct categories: The government, the rich nobles and the priesthood. And yet, hovering around and interacting with these three pillars of Egyptian power are other influential groups, such as meddling wealthy foreign entities, the envoys and spies of foreign nations and peoples of non-Egyptian religious culture, such as Jews, Babylonians, Greeks and Phoenicians. Prus manages to weave a web of mind-bending Machiavellian intrigue. This book is said to have been Joseph Stalin’s favorite novel and its not difficult to understand why. Stalin must have been riveted by this portrait of a powerful empire that was under constant threat from both internal and external forces. A hint of rebellion and revolution simmers in the background. There’s also the typical political intrigue present within the inner workings of any gigantic government system as various factions vie for power and influence. Sundry plots fester to overthrow the current incumbency. Prus shows us an ancient Egyptian culture that’s a hermetic blend of a secular government and theocratic regime. It’s impossible to find a clear line of demarcation between state and religion. Readers may develop an all-new appreciation for the concept of “separation between church and state” after reading Prus’ brilliant illustration of how the dynamic tension between the forces of the Pharaoh and the powers of the priests kept the 20th Dynasty embroiled in a perpetual power struggle. Not only are religion and government indistinguishable in the Twentieth Dynasty, but science and religion as well. The Egyptian priests were studying astronomy, physics, engineering, architecture, navigation, alchemy, medicine and more — and leveraging it for practical application and results. Furthermore, the priestly class were able to use this knowledge to help the Pharaoh when it suited them — or to thwart him when it served the agenda of the priesthood. The Labyrinth: Prus describes an incredibly vast and mind boggling secret chamber of more than 3,000 rooms where priests have accumulated enormous wealth — gold, silver, precious stones, works of art — that are like the Fort Knox of the Dynasty. All the booty stored within is never to be touched, but held for a time when Egypt might face a catastrophic economic crisis. The Labyrinth is so exclusive it is governed by its own special class of priesthood who command the power of life and death over any other individual of the New Kingdom, even other high priests. 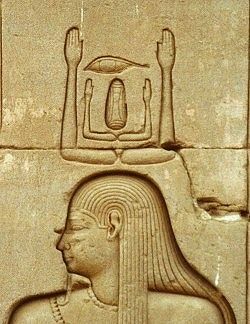 The Ka: Prus provides a thorough description and treatment of what the ancient Egyptians considered to be the soul of each individual, which had three parts: The Ka, the Ba and the Akh. In common use, as per this narrative, the Egyptians called it their “shade.” Prus even breaks the “fictional wall” of his story to step outside briefly so that he can comment on how the concept of the Ka seems to have arisen again and found new philosophic support in modern Europe. Astronomy and the Telescope: Did ancient Egyptian priests invent the optical telescope? Prus includes an intriguing scene to suggest they did. But moreover, there is another riveting scenario in which the priests leverage their advanced knowledge of a solar eclipse to score a major strategic victory against the pharaoh. So I found Pharaoh to be an epic masterpiece that frustrates my ability to capture it in all its permutations in a thousand-word review. A graduate student of 19th Century literature might easily compose a 20-page thesis to fully convey every layer and level represented in this great work. Of course, the best way to appreciate this book’s power is to read it yourself. 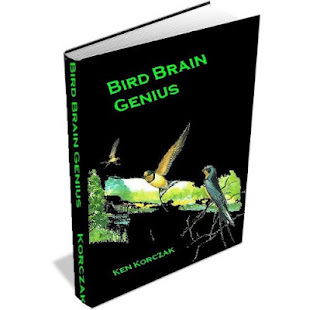 A FINAL IMPORTANT NOTE: A free e-book version of this book is available on Project Gutenberg. This is an English translation handled by Jeremiah Curtin and released in 1902. However, I agree with others who have called this an “incompetent and incomplete” rendering of Pharaoh. I urge everyone to obtain the 2001 English translation by Christopher Kasparek. Unfortunately this version is only available in hardback as far as I know, but it’s far superior to the free electronic version found online. This entry was posted in Uncategorized and tagged Aleksander Glowacki, Bolesław Prus, book review, Egypt, Egyptology, historic novels, Pharaoh on February 8, 2019 by admin. 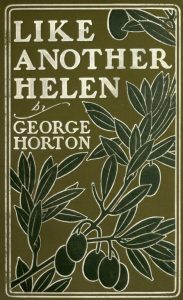 Like Another Helen, penned by American intellectual and distinguished diplomat GEORGE HORTON, is a competent novel but not a great work of literature. 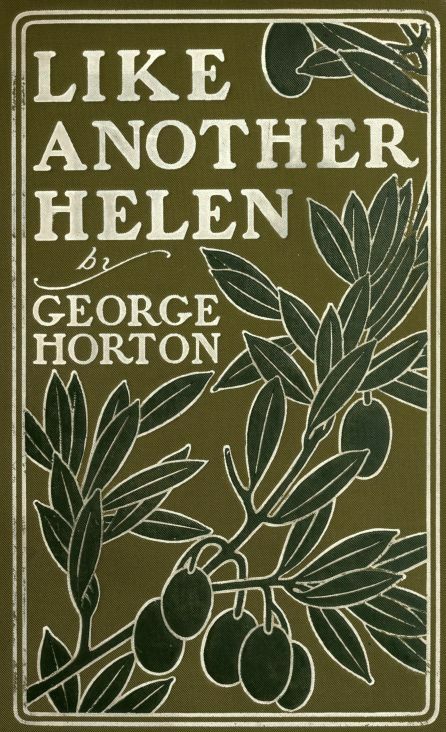 It appears to have been an attempt by Horton to write a popular novel for a general audience, but one which would also educate readers on the brutal and dramatic events which occurred on the island of Crete during the 1898-1908 Greek rebellion against the Ottoman Turks. The result, however, is a book that falls short of being a gripping portrayal of this violent chapter of history. At the same time, the entertainment factor is anemic. It misses the mark with an attempt to engage readers with a tale of three adventurous men opting to plant themselves in the middle of tumultuous events in an exotic location. An obvious comparison is Hemingway’s For Whom the Bell Tolls. Hemingway creates for us the itinerant soldier Robert Jordan who elected to participate in the Spanish Civil War. But where Ernest Hemingway produced a masterpiece, Horton’s book, published 40 years earlier, is light-weight by comparison and forgettable. Let’s face it, George Horton was no Hemingway. He was a serious intellectual and scholar, however, who mastered Greek and Latin. He was a noted translator of the works of the archaic Greek poet Sappho. 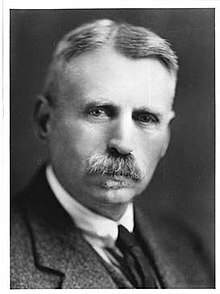 Horton was also a respected journalist and formidable literary figure of his day. He was a prominent member of the Chicago Renaissance, a group of writers that produced some of the America’s brightest literary lights. Horton’s considerable output of books and journalism went hand-in-hand with his work as a diplomat. He was appointed to a number of consular position in Greece and the former Ottoman Empire. He was the Consul General in the Greek-controlled city of Smyrna in what is today Turkey. Horton witnessed the catastrophic burning of Smyrna at the end of the Greco-Turkish War. The victorious Turk army took some extra revenge on their bitter enemies by setting fire to the Greek and Armenian quarters of the city which killed tens of thousands. Horton’s book, The Blight of Asia, documents the burning of Smyrna and the ethnic cleansing promulgated by the Turks against Christian Greeks and Armenians. The Blight of Asia is still regarded today as a work of historic importance. In Like Another Helen, Horton gives us vivid descriptions of Cretes’ villages, manner of dress, culinary tastes, attitudes and outlooks of the people, religious practice and other authentic insights into the culture. 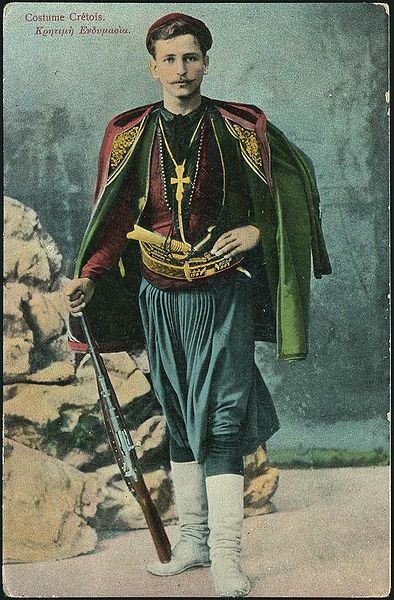 He also provides us with a window into how the tensions between the Islamic Turks and the Christian Greeks came to a boil after decades of uneasy Ottoman rule on an island that had for centuries been fundamentally Greek. 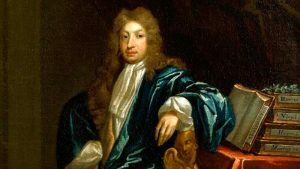 Horton plucked the title for this book from an 1697 ode titled Alexander’s Feast written by England’s first Poet Laureate JOHN DRYDEN. The poem tells of a feast celebrated by Alexander the Great after his conquest of the Persian city of Persepolis. In the story, Alexander is goaded into vengefully burning Persepolis by his beautiful lover, Thais — Thais being the one who is “like another Helen” — of Troy, that is. In Horton’s book, “Helen” is reincarnated as Panayota, a young maiden of extreme beauty. She is the daughter of a widowed priest in the Cretan village of Ambellaki. The village is prompted to go to war when Panayota is threatened to be taken captive by a nearby Turkish warlord who wants to add the lovely Greek maiden to his harem. Traditional Cretan Greek manner of dress. This is all pretext for plot, of course, as this was a time when all of Christian-Greek Crete was embroiled in throwing off the suzerainty of the Ottomans. Horton adopts the plight of Panayota and the chivalrous attempts to save her as a pivot point around which to tell the story of the Cretan struggle for independence. Yes, and Horton shows us mass hangings, babies burned alive, bones being shattered by sizzling bullet strikes, rotting corpses strung out for vengeful public display, young women splayed and broken strewn across rocks, their twisted bodies twisted, gashed and bloody after a mass suicide leap down a mountainside … and so forth. While these would seem visceral descriptions of human depravity in times of war the odd effect of Horton’s prose renders it all with a curious lack of gravitas. Furthermore, the plot gimmick of gallant men striving to rescue a fair maiden creates a melodramatic effect that detracts from what in reality was an utterly depraved and barbarous episode in world history that would have better been handled with a staid seriousness stripped of literary theatrics. 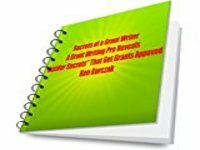 This entry was posted in Uncategorized and tagged American authors, book review, Cretem Greek, George Horton, Greco-Turkish War, Helen of Troy, historic novels, John Dryden, Ottoman Empire, Turkey on November 14, 2018 by admin.